Since the beginning of the early man, even when they were oblivious to the act of worship or any presence of God, they still adored the natural elements in some form or the other. The faith in the supreme power is still intact yet the ways to worship Him may have advanced. With advancement in the technological and scientific sector, the spiritual sector has also expressed its hidden potential. Use of digital media has provided an immense opportunity to the online spiritual market like others. Just at a click, the huge world of online puja store is available at our disposal. From online puja items, puja samagri, booking online pandit, and even online darshan have transformed the lives of people. Earlier people had to spend long hours in the market completing the list of puja items for the pandits; and today we surf the internet and order the puja items online like any other commodity. The online puja stores have made the life of people hassle free and convenient. Realizing the faith of the Hindu devotees and their idea of being accurate about the samagri and vidhi of puja, Shubhpuja fulfils has customised needs of its customers. Focussing on the purity and cleanliness factor, which is often ignored by the shopkeepers, we provide our customers with high quality of puja items online. Thus whatever deity you adore or the amount of faith you hold, you should definitely take advantage of the online puja stores. 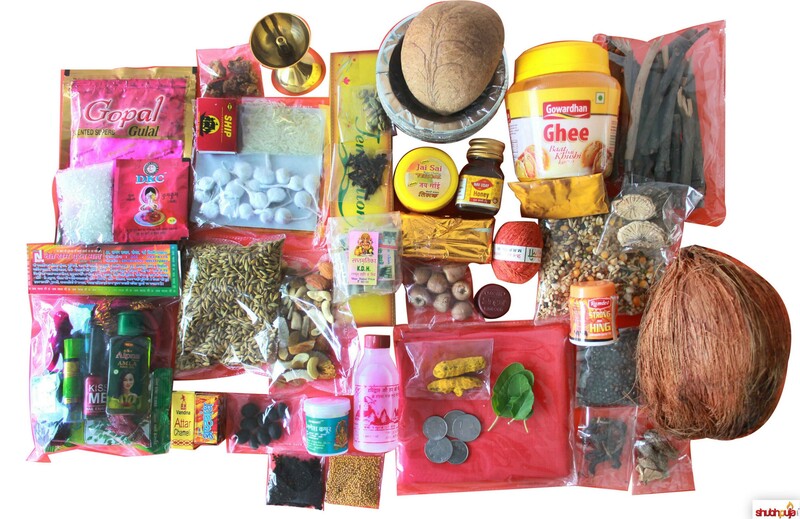 Moreover, ordering puja items online can be fun too. 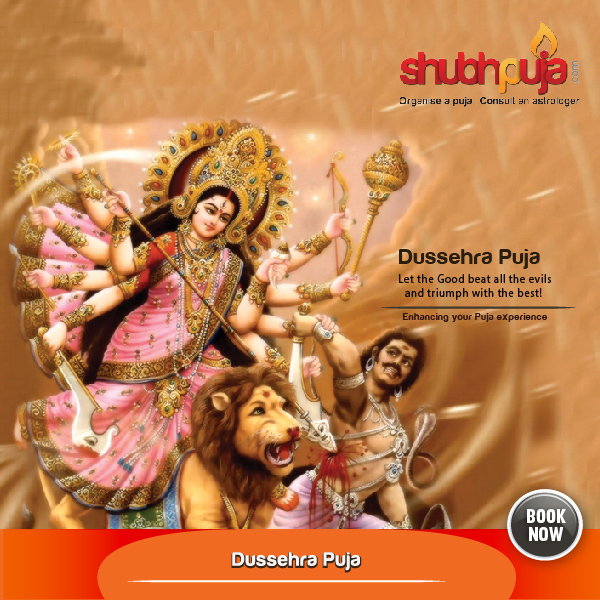 contact shubhpuja.com today and receive puja samagari and puja packages for various kinds of pujas. This entry was posted in Products, Puja and tagged available puja packages, blessings, book now, consultation, convenience, customised puja, customised puja samagri, devotees, dharma, digital media, divine, family, happiness, hassle free, have a little faith, Hindu, hinduism, list of puja items, online puja samagri, online puja store, online services, online users, order now, pooja items, puja commodity, puja items lists, puja items online, puja package, puja samagri, rituals, shubhpuja, shubhpuja.com, spiritual online market, success. 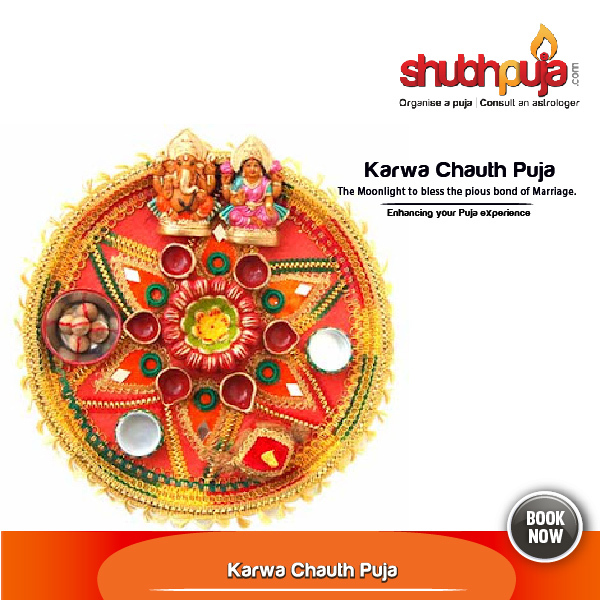 The pious fasting of Karwa-Chauth, where married women fast for the long life of their husbands and maintain peace and prosperity among the family relations is considered a huge event. Numerous beliefs and sentiments have been attached to this festival, varying as per geographical relevance and traditions. The women perform the auspicious karwa chauth puja before breaking the fast and the following story is narrated. Long time ago, in the city of Indraprasthapur there was a Brahmin named Vedsharma married to Leelavati. They both had seven sons and one daughter named Veeravati. Being the only sister of seven brothers she was highly pampered by everybody in the family. As she got matured, she was married to a suitable Brahmin boy. After marriage, when Veeravati was with her parents, she observed Karwa Chauth fasting for the long life of her husband along with her sisters-in-laws. During the fasting of Karwa Chauth Veeravati couldn’t bear the hunger; and due to weakness she fainted and fell on the ground. The brothers couldn’t bear the miserable condition of their little sister. They knew that Veeravati, a Pativrata, would not take any food unless she sights the moon even if it costs her life. All the brothers collectively made a plan to trick the sister to break her fast. Two brothers went to the forest and burnt cow dung coal. The other two brothers went home and informed his sister that the moon has risen. Veeravati believed that the moon has risen and made offerings to the fake moon. When Veeravati sat for her meal she could feel all sorts of bad omen and she immediately got the news that the king was dead. Goddess Parvati informed her that the king had died because the queen had broken her fast by watching a false moon. However, when the queen asked her for forgiveness, the goddess granted her the boon that the king would be revived but would be ill. When she reached the palace, she found the king lying unconscious with hundreds of needles inserted in his body. Each day, the queen managed to remove one needle from the king’s body. She faithfully served his husband and adored Goddess Parvati for the wellness of his husband. Next year, on the day of Karwa Chauth, only one needle remained embedded in the body of the unconscious king. The queen observed a strict fast that day and when she went to the market to buy the karwa for the puja, her maid removed the remaining needle from the king’s body. The king regained consciousness, and mistook the maid for his queen. When the real queen returned to the palace, she was made to serve as a maid. However, Veeravati was true to her faith and religiously observed the Karwa Chauth vrat. Once when the king was going to some other kingdom, he asked the real queen (now turned maid) if she wanted anything. The queen asked for a pair of identical dolls. The king obliged and the queen kept singing a song ” Roli ki Goli ho gayi… Goli ki Roli ho gayi (the queen has turned into a maid and the maid has turned into a queen). On being asked by the king as to why did she keep repeating that song, Veeravati narrated the entire story. The king repented and restored the queen to her royal status. It was only the queen’s devotion and her faith that won her husband’s affection and the blessings of Goddess Parvati. This entry was posted in Puja, Rituals and tagged 2015, 30th october, adorable, affection, ark, auspicious, blessings, book now, consultation, devotion, dharma, divine, energy, environment, faith, fake moon, family, Festival, fortune, future, god, Goddess, Goddess Parvati, grace, happiness, have a little faith, health, Hindu, hinduism, husband, Indraprasthapur, karva chauth, karwa chauth, karwa chauth fast, karwa chauth puja, katha, king, Leelavati, long life of husband, love, maid, moon, nirjalahaar, pooja, prosperity, puja, queen, religion, royal status, seven brothers, shubhpuja, shubhpuja.com, Vedsharma, Veeravati, vrat, worship. What does number 8 says for you? The number stands in symbolism for the Planet Saturn. 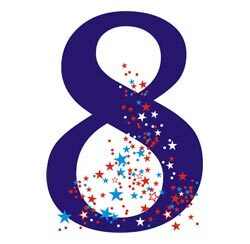 This number influences all people born on the 8th, 17th, or 26th in any month, or if their birthday comes between the 21st December and the 26th January period which is also called as the House of Saturn (positive), and also from 26th January to 19th February, the period called the House of Saturn (negative). These people are usually misunderstood by others, and therefore they feel intensely lonely at heart. They have deep and very intense natures along with great strength of individuality. They often appear cold and undemonstrative, though in reality they have warm hearts towards the oppressed classes. These people are either successes or great failures, there appears to be no happy medium in their case. If ambitious, they usually aim for public life or government responsibility of some kind, and often hold very high positions involving great sacrifice on their part. If at all religious they go to extremes and are fanatics in their zeal. In any cause they take up, they attempt to carry it through in spite of all arguments or opposition and in doing so they generally make bitter and relentless enemies. The lucky colours for them are all shades of grey, black, dark blue, and purple. They should endeavour to carry out their plans and aims on all days that fall under their own number such as 8th, 17th or 26th in any month, or during the house of Saturn period. Especially so when these dates fall on Saturday, Sunday or Monday. Their lucky stones are the amethyst and the dark toned sapphire, also black pearl or the black diamond. This entry was posted in Numerology and tagged auspicious, blessings, book now, consultation, devotees, diamond, divine, dual personality, environment, faith, family, Festival, have a little faith, health, House of saturn, Indian, intellectual, intense, lovely, lucky colours, lucky number, lucky stones, number 8, numerology, pooja, puja, religion, rituals, sacrifice, saturn, shades of grey, shubhpuja, shubhpuja.com, success, zeal. Though the entire year and months are a blessing for being to learn, grow, cherish and experience bliss; yet some particular time of the year holds special significance. Especially according to Hindu calendar every month has their unique significance and comes as a special grace for the devotees. Like the sacred month of Kartik is believed to be auspicious due to the visit of Lord Vishnu and Lord Shiva on Earth. Kartik maas usually occurs in the October and November month as per the English calendar. Kartik Mahina is named after the Hindu god Kartikeya and in the Vaishnava calendar, God Damodara governs this month. This month is considered sacred not only due to religious and mythological tales, but as it is this month is a relief after the scorching heat and humid season. The rituals performed during this month are: Snaan (holy bath), Daan (charity), Tara Bhojan (star meal), Vrat (fasting), buying and donating of Suvarna (Gold), Rajat (Silver), Bhumi (Land), Vastra(Clothing), Tapasya, Japa, Homa, Yagna, Annadaan (donating food), Puja with Tulsi leaves, Deep daan (offering lamps), Abhishek of Vishnu’s Idol with holy Ganges water, Shodasopacharas to Deities, Veda- parayana, Purana Shravan, Bhajans, Deva Stutis, Visits to temples, ‘Jaagarans’ (keeping awake in the night singing hymns), Guru seva and etc. This time of the year is the transition phase from Sadhana to Kaivalya i.e. from sowing and cultivating the seeds of devotion by noble deeds, now is the time to experience the bliss and fruitful results from it. As the entire year devotees are involved in adoring and pleasing the Lord by performing sacred acts and this month is a celebration to live the joyous result of the dedication. Therefore this is the month of all happy festivals of Karva Chauth, Ahoi Ashtami, Dhan-Teras, Diwali, Govardhan Puja, Bhai Duj,Tulsi Vivaah, Kartik Purnima and so on. This year the Kartik maas begins from 28th October, 2015 and ends on 25th November, 2015. 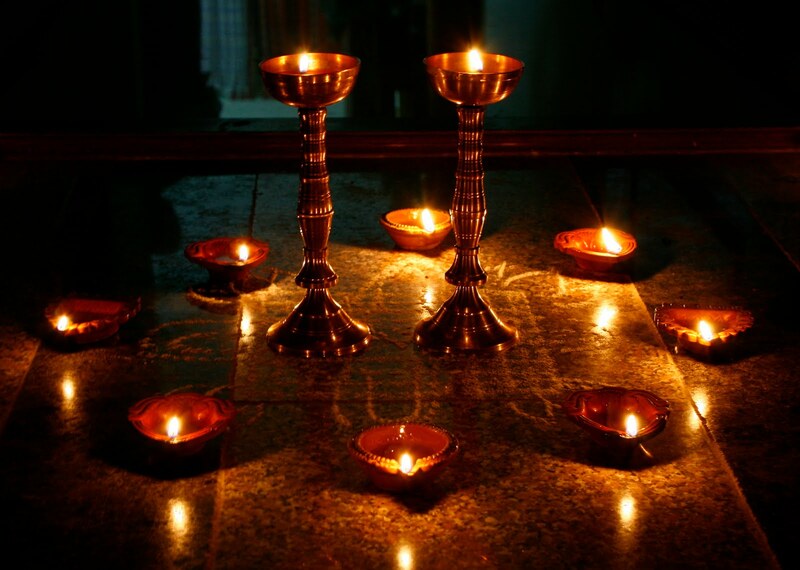 May all the devotees light the lamp of love within and create a beautiful ambience of peace and humanity! This entry was posted in Puja, Rituals and tagged 2015, 2015- 25th nov, 28th oct, Ahoi Ashtami, auspicious, blessings, brightness, celebration, charity, consultation, daan, deep daan, divine, diya, donations, happiness, have a little faith, Hindu calendar, Hindu month, hinduism, holliest month, kaivalya, Kartik maas, kartik month, Kartik purnima, light, Lord Krishna, lord shiva, Lord Vishnu, love, peace, pooja, puja, rituals, sacred, sadhaks, sadhana, shubhpuja, shubhpuja.com, snaan, tapasaya, tara bhojan, tulsi vivaah, vrat, worship. The nine blissful days of navratri boosts the devotees with positivity and strength. These days finally comes to an end by celebrating the glory of positivity over negativity and praying for retaining these blessings throughout the year. The auspicious festival of Vijaya Dashami or Dussehra is a reminder of getting rid of evil traits and inculcating the positive sanskars. Apart from the huge history of Ram-Ravana battle and victory of goodness over evil, the festival inspires us to quit our deviation towards material world. In the busy world of materialism all of us are running after external comforts and achievements. We are far away from focussing on our internal health and comfort. Due to this shift in focus, the world has turned upside down. These nine days followed by the festival of Dussehra marks the victory of a devotee where the focus is returned back to the base. The devotees seek forgiveness for their mistakes and realize the power of goodness within them. The Goddess Shakti bestows the devotee to choose the path of positivity and live with internal and external bliss. The self-purification process makes this process easier and also inspires the sadhaks to retain this divinity around and within. May Goddess Durga bless each one of us with supreme grace and may these blissful days become our style of living. This entry was posted in Puja and tagged Achievement, auspicious, blessings, book now, consultation, dashami, devotees, devotess, dharma, divine, dussehra, Dusshera, energy, environment, evil, faith, family, Festival, Goddess, Goddess Durga, goodness, grace, happiness, have a little faith, health, Hindu, hinduism, Indian, internal bliss, Lord Rama, love, navmi, navratri, Navratri cosmic energy, negativity, peace, positive energy, positivity, prosperity, puja, Ravana, religion, rituals, sadhaks, sanskars, shubhpuja, shubhpuja.com, solace, success, supreme grace, Vijaya Dasami, Vijaya Dashmi, worship. Saraswati Puja Vidhi: How to do at home? Navratras are celebrated to worship different avatars and forms of Goddess Durga. To please Goddess Durga, a 9 day fast period is observed. 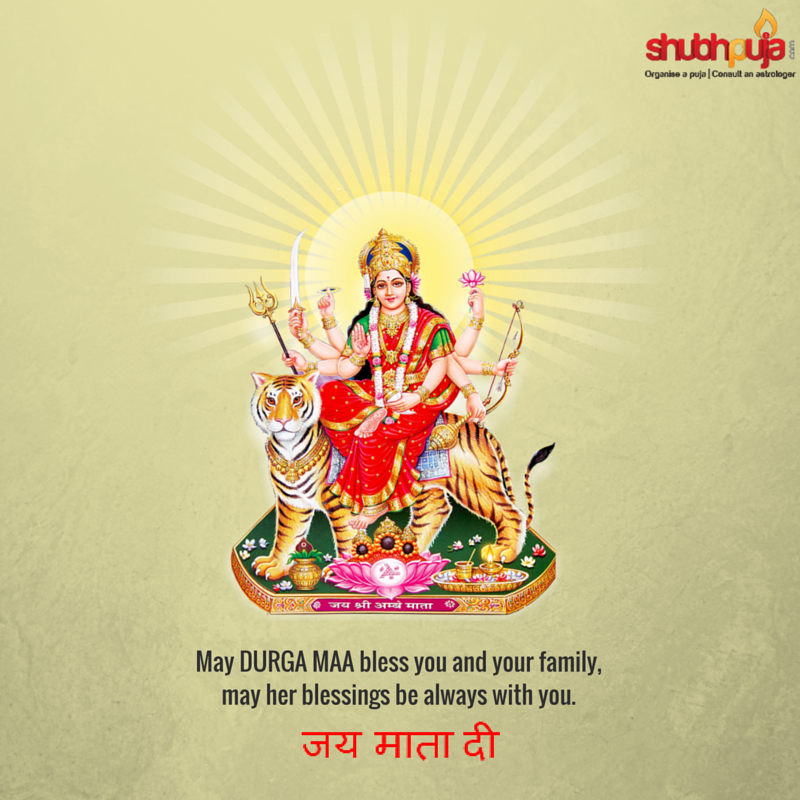 During Navratri puja, the Durga Sapshati puja and havan with proper procedures and rituals is conducted where each family member gives ahuti and takes blessings from Durga mata. 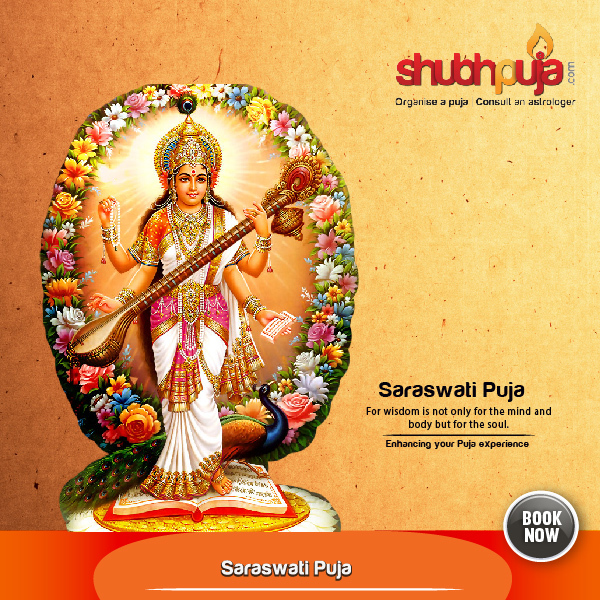 The last 3 days of Navratre are dedicated to Goddess Saraswati (Goddess of education, art and creativity). The Saraswati puja vidhi and processes need to be properly understood and applied. After getting ready and cleaning the puja room, sit facing towards east direction. Place a white cloth one platform and place the idol of Ma Sarawsati on it. Decorate the idol with turmeric, kumkum, rice, garlands and flowers. Books and musical instruments can also be placed near the deity. Place a green coconut on an earthen pot with a red coloured cotton cloth. Light the diya and remember lord Ganesha first and pray for the successful completion of the puja. Chant the following mantra and remain in meditation for a while. Saa maam pathu saraswati bhagavati nishshesha,jadyapaha. Then offer the prasadam that you have made on the banana or betel leaf. Keep elaichi and lavanga on it. Perform the arti with camphor and diya and ring the bell or conch simultaneously. This entry was posted in Puja and tagged art, auspicious, bestow, blessings, book now, books, celebration, consultation, devotees, dharma, divine, DIY saraswati puja, durga, east, education, energy, enlightenment, environment, faith, family, Festival, food, fortune, future, glory, Goddess, Goddess Durga, Goddess Saraswati, grace, happiness, have a little faith, musical instruments, puja at home, puja items online, puja samagri, puja vidhi, shubhpuja, shubhpuja.com, studies. To express the love for the Goddess Durga, devotees have been fasting since all these pious days of navaratri. From fulfilling all the rituals and customs, and shunning away the bad habits; all are on the check list. For making your puja a little easier, the Durga arti is provided. We hope that your dedication during nine days of navratri brings peace, happiness and grace for you. This entry was posted in Puja and tagged adore, Anuradha Paudwal, bestow, blessings, book now, celebration, consultation, devotees, dharma, divine, Durga arti, durga puja, durga saptashati, energy, environment, faith, family, Festival, fortune, Goddess, Goddess Durga, grace, happiness, have a little faith, Hindu, hinduism, inner peace, Jai ambe Gauri arti, love, navratre, navratri, navratri puja, peace, pooja, prosperity, puja, religion, rituals, shubhpuja, shubhpuja.com, success, worship.